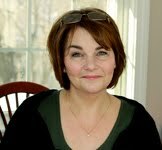 Last March I interviewed author Randy Susan Meyers. I had a great response to what turned out to be Randy's first interview. Now that her novel, The Murderer's Daughters, has been out for a few months, I thought it would be fun to conduct a follow-up interview and find out how things are going for Randy since the book came out. And Randy was gracious enough to agree. 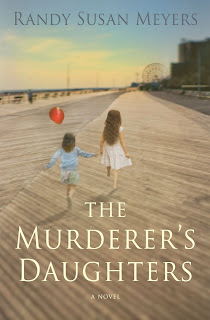 Unreliable Narrator: This past January your first novel, The Murderer’s Daughters, was published in hardcover by St. Martin’s Press to excellent reviews. Unreliable Narrator interviewed you in March of ‘09, after the manuscript sold but before publication. At that time you said, “I am convinced, that for me, the less drama in my life, the more drama in my fiction.” Has your drama quotient changed, for better or worse, since the book came out? Randy Susan Meyers: My life has certainly been busier and I guess a bit more dramatic, but all the drama, thank goodness, has been on the professional side, like waiting for reviews and the like. It’s been going wonderfully. This is drama I welcome and I am feeling truly blessed. UN: For me, it was a great experience to critique parts of your manuscript in workshops at Grub Street, and then read the published version. I noticed at least one difference in the finished book, namely the scene where the father murders the mother. It seemed toned down, less violent and bloody, than in earlier iterations. Was this your choice or your editors’? Or, am I imagining things? RSM: Hmm. That must have been my choice, because the few things my editor requested that I change stand out so large in my mind that I remember each one. It’s a funny thing, the editorial relationship. First, the changes requested get your back way up. What! Change that brilliant decision that I probably made on one hour of sleep? Then, you let the editor’s ideas settle and slowly you see the wisdom and merit. My editor was great; her editing was light and smart. Many things she suggested I accepted, others I didn’t. We had a solid working relationship. I imagine if I toned that first scene down, it was because I wanted the book to be about Lulu and Merry’s life, not about the murder or their father. And I think I also realized that when going through a traumatic experience as Lulu and Merry did, only very key moments would stand out and much of the painful scenes would be buried. UN: Book tours, at least subsidized by publishers, are becoming rarer, especially for first-time novelists. Did St. Martin’s send you out, or did you book readings, etc., on your own? RSM: I was not sent on a book tour, per se. St. Martin’s certainly did arrange for some speaking and readings—though they were more attuned to getting the books out to online sites and blogs (which was smart) than to my reading in bookstores. Debut authors do not equal big crowds was their belief, and I imagine they are correct. It certainly is a cost-benefit-analysis world out there. Other things they concentrated on, which were so important, were print reviews and the all-important Amazon Vines early reviewers program. I did an enormous amount on my own. A wise agent, when speaking last year at The Muse and The Marketplace, said something that truly imprinted on me: No one will ever care as much about your book as you do. Not your agent, not your editor, not your publicist. No one. That’s true. I dove into promoting my book because I believe in it and I very much want people to read it. UN: You’re great at blogging, keeping your author website fresh, tweeting, and facebook. I know you started doing these things, and more I’m probably not aware of, well before the book came out. How important have these social media tools been to the marketing of your book? RSM: Enormously important (I believe) but still, one shouldn’t do things that don’t feel natural or pleasing. I found that I loved writing posts—my essays, for my blog. It’s a different form than fiction. It’s short and driven by my voice and opinions, not the ones I am giving to my characters. It’s a place where I can talk about what I love: books, magazines, writing and everything associated. On Facebook and Twitter, I’ve made tons of new friends (even if my husband doesn’t believe they’re real). One builds a community of writers and readers who help each other. It’s lovely. Face it, the world is online. Writers can’t really hide from it and why would they want to? It’s our medium—words. UN: How about Amazon pre-orders and reader reviews? 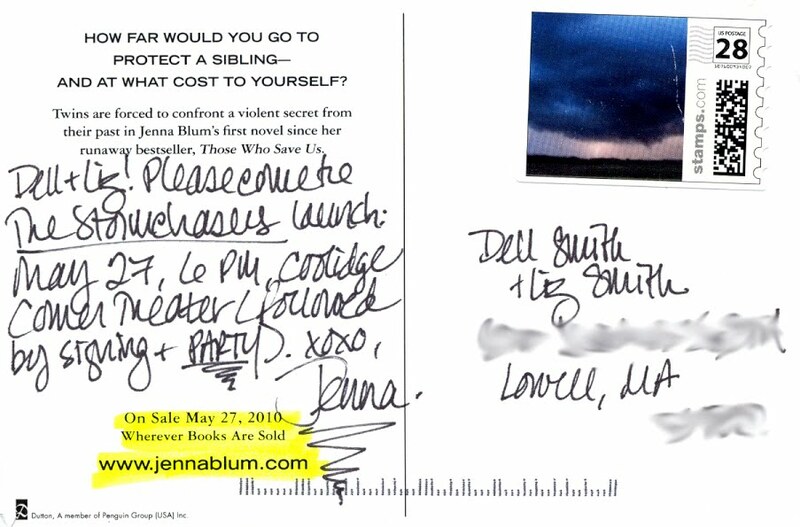 Did exposure on Amazon, and other retail sites like Barnes & Noble, help book sales? RSM: I absolutely think so. St. Martin’s put The Murderer's Daughters in Amazon’s early reader program, which gives books to Amazon top reviewers before the book comes out. There is no guarantee here, and they are probably the toughest critics you can find, but I was blessed and most of them truly liked the book. These are the only reviews allowed up before the book comes out. It gives a book an early buzz on its reception. I consider Amazon Vines the canary in the mine. Also, Amazon chose to highlight The Murderer's Daughters both as ‘Our Favorite Books to Read Right Now’ and as a ‘Find New Voices in Fiction’ Amazon Book Club recommendation. This truly helped the book. UN: Sounds like Amazon was really supportive. When the book came out, it seemed to have a generous presence in big box and independent bookstores, at least in the Boston area. Are you satisfied with the push and print run St. Martin’s gave the book? RSM: St. Martin’s truly showed their belief in The Murderer's Daughters through their large print run and the books solid presence nationwide, both in independents and big box stores. UN: After the book was sold in the U.S., your agent, Stephanie Abou, started selling the foreign rights. When I interviewed you last, the book had been sold to five countries. Since then, have more rights sold? How has the reception been overseas? Any plans to travel to Europe to promote the book? RSM: At this time, my wonderful agent has sold foreign rights to twelve countries. The first release was in Holland (where it was on the nationwide bestseller list for three weeks!) Then it came out in Australia and Germany, where it’s doing quite well. Next will be France, Great Britain, Scotland, Ireland, Portugal, Poland, Israel, and Taiwan. UN: Wow, that truly impressive. When will The Murderer’s Daughters come out in paperback? And what are the big differences between the hardcover and paperback publication? RSM: The paperback version should be out around January 2011. I am not certain about all the differences, but I was surprised to learn that the paperback is brought out by an entirely different arm of St. Martin’s Press (though I get to keep my terrific editor). The cover may or may not change. (I hope it stays the same, as I do love my cover.) When the paperback comes out, there is a larger push for book clubs (such as including a questionnaire). UN: I know a little bit about your next book. Can you touch on the status of that? Bottom line: when do we get our next fix of RSM? RSM: Here I am in Provincetown just finishing the last touches! It’s a story of the collateral damage of infidelity, revolving around a child who was the product of an affair. I’m hoping to get this last revision to my agent very soon! UN: I look forward to seeing your next book hit the stores. Randy, thanks again for taking time out to chat with Unreliable Narrator. And congratulations on the success of The Murderer's Daughters. Lots going on this week in the world of Boston's literati. Let's get right down to it, shall we? I'll start off with a big congratulatory shout out to fellow Grub Street writer Iris Gomez whose first novel Try To Remember is hot off the Grand Central Publishing presses. "It's the story of spirited Gabriela de la Paz, a Colombian teenager struggling to forge her own identity in the changing cultural landscape of 1970s Miami, while keeping her increasingly volatile, mentally ill father out of legal trouble - in order to protect his green card status and save her family from exile in disgrace." It's already garnering great reviews from Publishers Weekly and Booklist. Can't wait to crack it. Catch Iris on May 10th when she holds a discussion and book signing at the UMass Boston bookstore, May 12 at the Downtown Crossing Borders, and May 13 at Brookline Booksmith. Hurry, time's running out! For what? 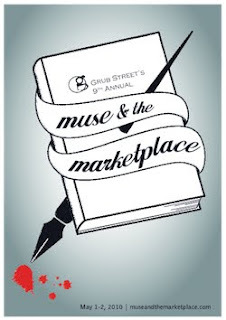 For registering for Grub Street's 9th annual The Muse and the Marketplace writer's conference, which will be held this upcoming Saturday and Sunday, May 1st and 2nd. Registration ends this Tuesday, April 27th, at noon. This year you can catch keynote speaker Chuck Palahniuk, along with guest authors Steve Almond, Donovan Campbell, Michael Downing, Hallie Ephron, Ethan Gilsdorf, Elizabeth Graver, Lauren Grodstein, Ann Hood, Victor Lavalle, Jennifer 8 Lee, Benjamin Percy, Michelle Seaton, Jessica Shattuck, Anita Shreve, Janna Malamud Smith, and Elizabeth Strout among many others. Where else can you mingle with literary agents and editors from agencies and publishers large and small? No where else. Sign up to join the 500+ writers who will be in attendance. Register online, or give Grub Street a call at 617.695.0075. 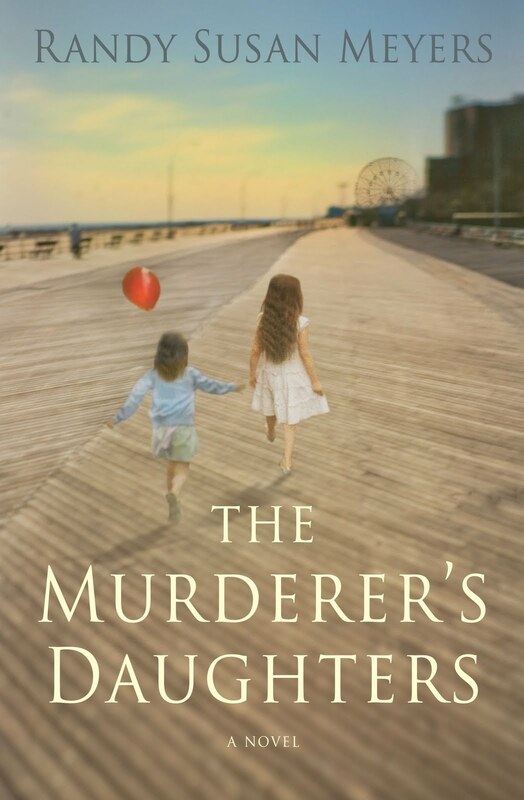 Be sure to catch Randy Susan Meyers this Thursday, April 29, at 7 PM over at Newtonville Books reading a selection from her novel The Murderer's Daughters. She'll be appearing along with Kelly O'Connor McNees, author of The Lost Summer Of Louisa May Alcott. 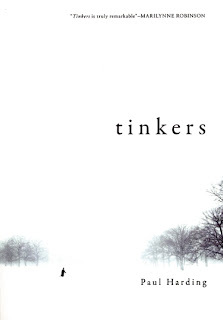 Belated congratulations to local rocker (drummer for Cold Water Flat) turned novelist, Paul Harding, who made more than good by winning this year's Pulitzer Prize for fiction for Tinkers, which was published last year by independent Bellevue Literary Press with a an initial run of 3,500 copies. This week Perseus Books Group (parent company to the book's distributor, Consortium) is readying another 100,000 books for shipment. Read Geoff Edgers' article in The Boston Globe about how Tinkers rose from collecting dust in the author's desk drawer to prize winning novel. It's a great underdog story. What writer doesn't like to hear that a tiny novel, with a small first printing and a 1,000 dollar advance, can climb into the heady clouds of year-end top ten lists and then ascend even farther to be the first novel released by a small press in thirty years to win the Pulitzer? Not this writer. 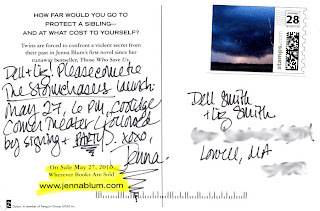 Jenna Blum's new novel, The Stormchasers, will be published on May 27th. This is Jenna's first novel since Those Who Save Us ripped up the bestseller charts. 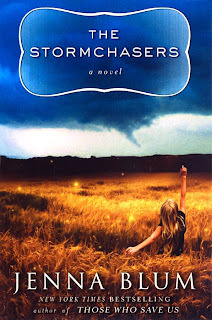 The Stormchasers has already garnered an excellent review in Publishers Weekly. Here's what they have to say: "At home in Minnesota, Karena Jorge gets an unexpected call informing her that her twin brother, Charles Hallingdahl, whom she hasn't seen in the 20 years since something went very wrong during a storm chase, has been admitted to a Kansas mental hospital. Charles suffers from rapid cycling bipolar disorder, and all Karena knows is that he refuses medication, he can be a danger to himself and others, and he is still obsessed with storm chasing. When she rushes to the clinic and finds he has already left, Karena joins a professional storm-chasing tour company, hoping to find her brother in the caravan of watchers who follow major storms. In the course of the tour, Karena confronts the past and the way it has shaped her life. 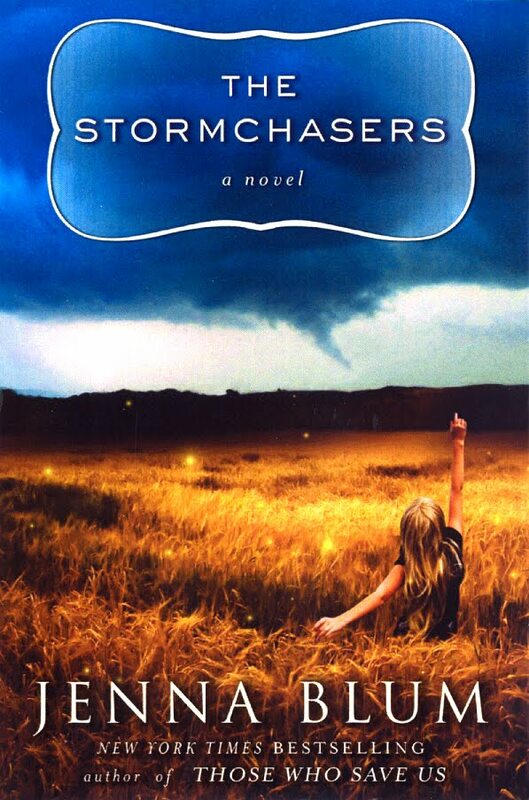 The unpredictable and dangerous storms provide a framework for an exploration of the bond between siblings (and its limitations), and Blum renders the stormy backdrop as richly as she does her nuanced characters." Nice! Jenna is a Boston-area writer who has taught on and off at the ever-popular (and ever growing!) Grub Street (Boston's first non-profit creative writing center) since its inception in 1997. I'm lucky to have experienced first-hand what a gracious, informed, and ever-helpful instructor she is and I can't wait to get my hands on her new book. She's been researching this subject for at least three years, going off every spring on storm chasing expeditions across the mid-west and wherever she hears tell of crazy, insane, just downright stupid weather. The kind of weather I'd rather read about from the comfort of a new hardcover. Yeah, I know it's already April, and many of the titles listed in The Millions' most anticipated books of 2010 are already out. But now's a good chance to catch up on those major releases that came out in January and February that you missed. And to see what's still to come. Doing some Internet research for author website links (I've just redone all my links -- Look, just to the right there. Yes, that's it. Those. 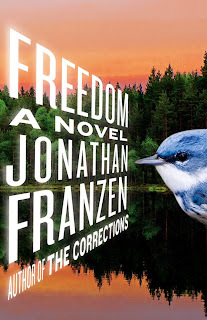 ), what caught my eye was a new novel due in August from Jonathan Franzen called Freedom. Nine years after The Corrections, one of my favorite books from the last ten years. I wasn't impressed by his lastest story published in the New Yorker, Good Neighbors, supposedly an excerpt from Freedom. Too much tell, almost no show--more a synopsis of a novel then a short story. Regardless, few writers elicit my can't-wait-to-read dar. Also in 2010, lots more newly translated material from Robert Bolaño. Four new books out this year, including Monsieur Pain (January), Antwerp (April), The Return (July), and The Insufferable Gaucho (August). While the New Yorker still can't get enough of postumous Bolaño -- see William Burns, from last February -- they're also questioning how much is too much of a good thing by calling attention to the backlash. I'm still working my way through 2666. The part about the crimes. So I'll stay out of it, thanks all the same. Interested in knowing what other books are on the horizon? Check out this list at amazon. This morning, instead of starting chapter 6 of my current novel, I'm revising a query letter for my finished novel which I'm marketing to agents and small presses. I've used the same query template for the past couple years, and I felt like it needed to read more contemporary more to today's standards of query presentation. For some query enlightenment I browsed over to my old friend Query Shark. Query Shark is a working agent's blog to which writers submit real query letters. QS critiques certain ones, giving the poop, the scoop, and the 411 about what she loves, hates, and needs in a query. For writers at the getting-a-book-published stage, her advice (I think it's a her) is essential. "I think of queries as a bit like what figure skaters used to have to do in the Olympics: compulsory figures. Skaters were required to perform a series of figures, and were judged solely on accuracy not artistry. There is a photo somewhere of a judge measuring a line in the ice with a ruler! The resemblance of queries to compulsories is this: you have to get the basics down in the query. Your artistry shows in your pages. Yes your voice comes through in your query. Yes there is style there. But mostly you've got to communicate some basic info: what the book is about, and the stakes involved." It's writing conference weather people. Time to hone that pitch for your latest opus. Not sure how to pitch, or even where to start? Agent Nathan Bransford posted a short video yesterday about how to pitch your story idea and knowing the essence of your book. It's worth a minute and twenty seconds of your time. Trust me. I'm a novelist and short story writer. I work as a manager of a small team of technical writers at a software company northwest of Boston, and live in a converted mill building in downtown Lowell, MA with my wife, Liz. My writing has appeared in Fiction, Tropus, J Journal, Hacks (10 year Grub Street Anthology), and the Grub Street Free Press. I am a founding writer of the group writing blog Beyond the Margins. I am currently working on a novel. I am always currently working on a novel. Get the most out of old calenders!